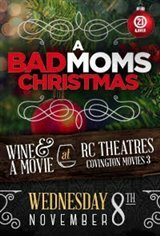 Join us for a Wine & A Movie night to watch our favorite "Bad Moms" as they rebel against the challenges and expectations of the Super Bowl for moms: Christmas. And if creating a more perfect holiday for their families wasn't hard enough, they have to do all of that while hosting and entertaining their own mothers. 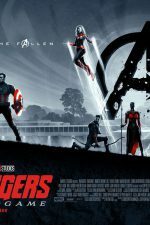 The reception is from 6:00-7:00 and the movie will start at 7:00. Everyone will get a commemorative take-home BAD MOMS wine glass. Virginia Mountain Vineyard will be selling wine by the glass for $6.00 and will also have unopened bottles available for sale. This is a 21 and older event; ID's will be checked.